Our new milking barn completed. 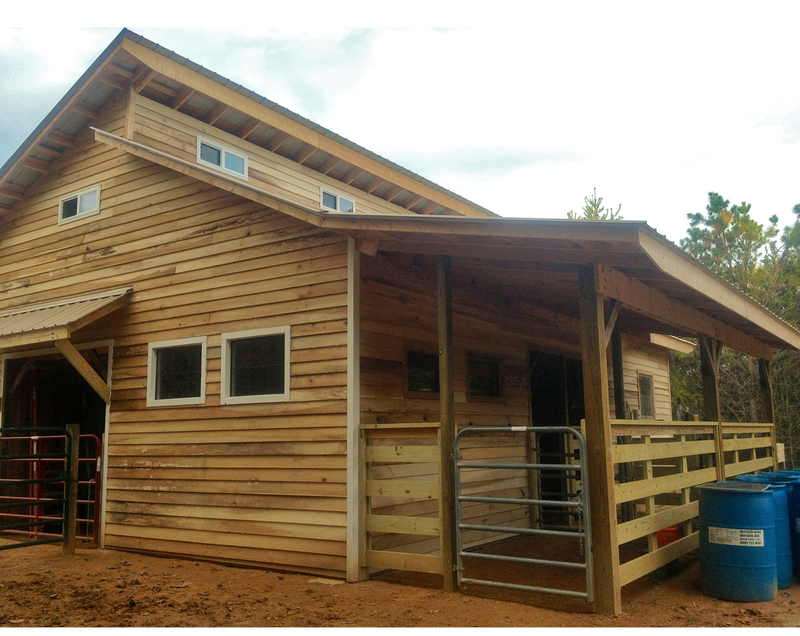 This is a view of the loafing stalls and milking stall (double windows). SW corner. The barn siding is locally cut poplar milled into clapboards.